Now we're bigger and better! 30 kinds of pizza 10 kinds of sandwiches. Fun for the whole family. Orders to go. The Heights Parlor Pizza. 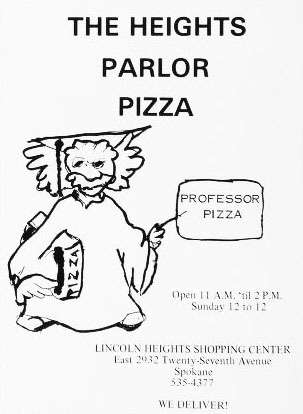 Professor pizza. Lincoln Heights Shopping Center. We deliver! 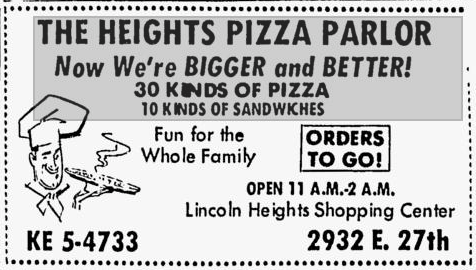 The Heights Pizza Parlor. 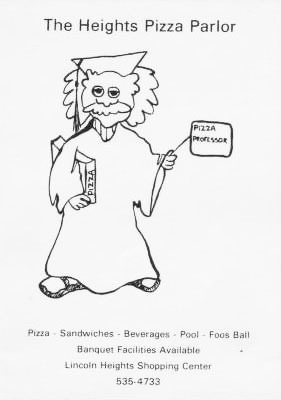 Pizza professor. Pizza, sandwiches, beverages, pool, foos ball. Banquet facilities available. 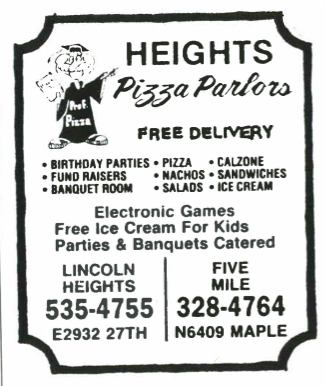 Heights Pizza Parlor. Free delivery. Birthday parties, fund raisers, banquet room, pizza, nachos, salads, calzone, sandwiches, ice cream. Electronic Games. Free ice cream for kids. Parties & banquets catered. Lincoln Heights & Five Mile.